With Valentine's Day fast approaching that means Spring can't be too far away! 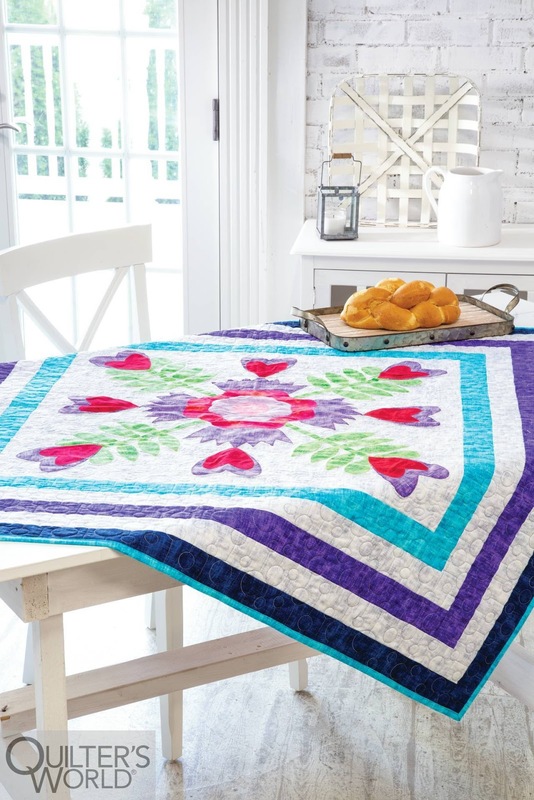 Anyway, my Hearty Blooms topper which is in the Spring 2019 issue of Quilter's World magazine, will bring a lot of Spring cheer to your table. If you don't subscribe to Quilter's World, you can pick up a copy on your favorite news stand or purchase a digital download. 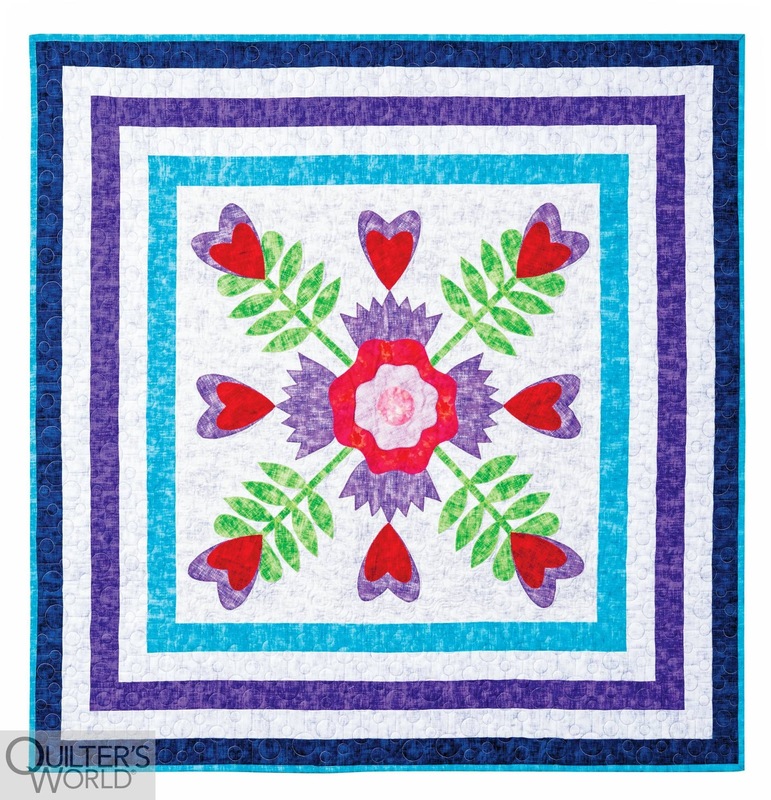 With the hearts, the quilt can make its appearance in time for Valentine's Day, and with the floral blooms, it can stay out all Spring. The style is a bit folk art-ish and the colors bright and well saturated, but not too bold. For Hearty Blooms, I selected fabrics from Timeless Treasures fabric company and feel they really make the design stand out. Huge thanks to Treasures graciously providing the fabric. To make the quilt, I also used complimentary Warm 80/20 batting and Lite Steam-A-Seam 2 fusible from The Warm Company and thread from Aurifil. Hearty Blooms can do double or even triple duty in your decor. It is just the right size that it could be used a stunning wall hanging or across a bed as a decorative throw that is sure to brighten up the room. Hearty Blooms isn't my only quilt in Quilter's World Spring 2019 - I will be blogging about my Side Step quilt soon! I don't understand how you can copy someone else's design, call it your own, publish it and give it away for free when it was designed by me in 2015, was featured and published in 2015 by Electric Quilt, and is being sold on my partner's website. Shame!